The bench was hearing a plea filed by the kin of Dabholkar and Pansare seeking that the high court monitor the probe in both cases. MUMBAI: The Bombay High Court today said it was incumbent upon the CBI and the Maharashtra CID to conduct a fair probe into the deaths of rationalists Narendra Dabholkar and Govind Pansare as liberals and activists fear of being targeted if they voice their views in public. A bench of justices SC Dharamadhikari and Bharati Dangre said it was imperative that the CBI and the Maharashtra CID ensure that a fair and impartial probe was conducted into the deaths in the light of this apprehension in the minds of liberals in the country. "After the killings of Dabholkar and Pansare, some more similar incidents have taken place in the state of Karnataka. There is apprehension in the minds of liberals, and social activists that if they voice their opinions in public then they will be targeted," the bench said. "The authorities thus, must remember that they are obliged to conduct a fair and impartial probe. Also, this court will require a proper explanation on any delays in the investigations," the bench noted. 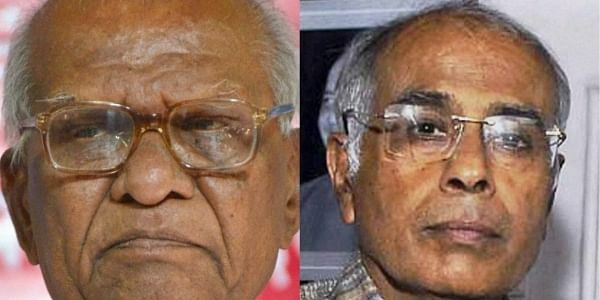 The observations came after advocate Abhay Nevagi, the counsel for the family members of Dabholkar and Pansare, informed the high court that the state had enhanced the police security provided to Pansare's family members. "This had made the family anxious, and they were wondering if there was any new threat to their safety," Nevagi said. On the previous hearing,the HC had noted that the progress reports submitted by the CBI and the state CID into the killings of Dabholkar and Pansare, respectively, were "unsatisfactory". It had also summoned the Joint Director CBI, and the Additional Chief Secretary, Maharashtra Home Department. Today, the CBI joint director and the head of the Maharashtra CID's Special Investigations Team (SIT) were present in the high court. The officers requested that they be granted a personal hearing by the bench in its chambers since they had some "sensitive" information related to the investigation into the above cases which they couldn't share in the open court. The bench, however, refused them such hearing stating that doing so would set a precedent. "If there is some such sensitive information, you (the officials) can put it in writing and submit such report directly to our chambers instead of submitting it in the open court along with the case files," the bench said. Dabholkar, known as anti-superstition crusader, was shot dead on August 20, 2013, in Pune while on morning walk. Left leader Pansare was shot at on February 16, 2015, in Kolhapur. He succumbed to his injuries on February 20. The CBI and the CID's SIT probing killings of Dabholkar and Pansare, respectively, have been submitting periodic progress reports before the court in sealed covers. In the past hearings, both agencies had told the high court that they were coordinating with the Karnataka Police that is probing the killings of writer MM Kalburgi and journalist Gauri Lankesh. They had also said that they were keeping a watch on certain 'Sansthas' or organisations. Hearing a petition for a court-monitored probe into the killings of Pansare and Dabholkar, the high court had last October observed that there has been a "dangerous trend" of eliminating all opposition and liberal values, which is giving the country a bad name.